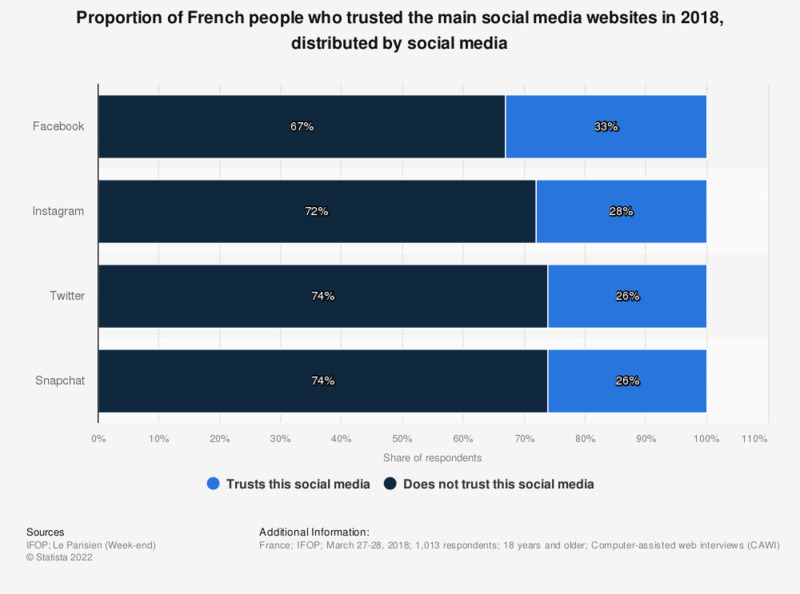 This graph shows the distribution of the proportion of French people who trusted the main social media websites in 2018, by social media. It appears that 67 percent of the respondents stated that they did not trust Facebook, while 74 percent declared that they did not trust Snapchat nor Twitter either. This question was phrased by the source as follows: "Et diriez-vous que vous faites confiance ou pas confiance à chacun des réseaux sociaux suivants?"